Exploring identity is an important way to strengthen bonds between groups and to build partnership. 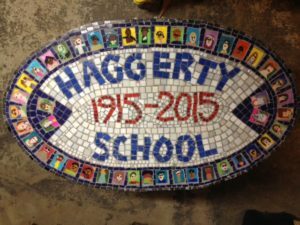 Second graders at the Haggerty School in Cambridge, Massachusetts built a collaborative mosaic to celebrate the school’s centennial anniversary. 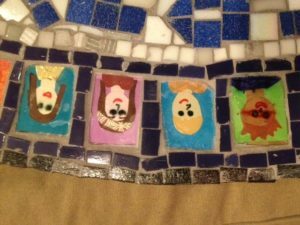 They included miniature self-portraits to represent the unique role that each student plays in the school community.